Discussion in 'HardForum Tech News' started by Pieter3dnow, Mar 25, 2019. Zen+ microarchitecture have been discounted, leading to speculation that AMD is making space in its inventory for the upcoming Zen 2-based Ryzen chips. Red Falcon, pendragon1, lostin3d and 6 others like this. Bring on the price cuts! Chimpee, Etherton and alxlwson like this. Price cuts on a very good processor = good. Indication that Ryzen 3 is coming soon = Very Good. jeffj7, SolidBladez, Geforcepat and 5 others like this. Though it isn't the "X" model, the regular 2600 has reach as low as $155 within this past month. Wow, is it finally time to retire the ole FX-8350?? cageymaru, Red Falcon, wyqtor and 2 others like this. cageymaru, chockomonkey and Sulphademus like this. Red Falcon, GoldenTiger and Sulphademus like this. I'm leaving to Europe for a few years in a couple months and wanted to finally upgrade my old i7 920/X58 rig (has a 1060 6GB in it currently and still does well enough) before I left and was going to wait for Zen 2 to drop before upgrading.. but dunno if it's going to be in the next month or so. So I might just grab a 2700 and decent x470 mobo or something since they're supposed to be compatible with the next gen procs. I'm pretty impressed by my son's budget 2600/Rx 570 8GB rig and what it can play.. which is pretty much anything maxed out at 1080p. I've been told that parts (and everything in general) are more expensive over in Europe, so if anyone knows different, please chime in. How much will it be to ship the system to Europe? Will the savings of buying it here make it worth buying now instead of waiting for Ryzen 3? That should help you decide. Definitely buy before you go, if you can wait till July thats likely when the next chip release is, if not still not a bad upgrade now. I would assume if he's going for a couple of years he's fully moving and the computer could be taken with him easily with minimal shipping/tax change. Dude, it has been time to retire Bulldozer CPU's the moment Ryzen was released! 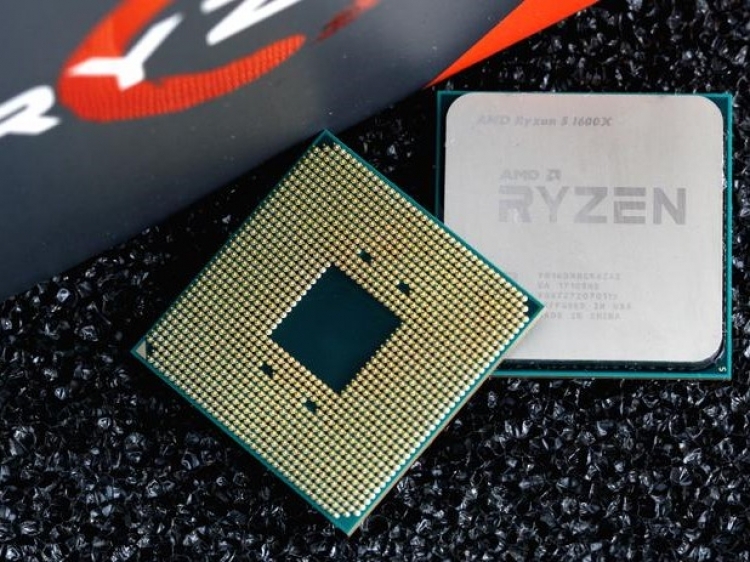 These second gen Ryzens are, like, twice as fast as as the best Dozer-based CPU. IndyColtsFan, Red Falcon, wyqtor and 4 others like this. I'm military, so they're shipping all my household goods and a vehicle for me. Here is the problem. The 2600x has been "dumped" at $180 on sale. The 3600x, is going to be a bit more than what the 2600x retails for. So how are they going to do this? You cant have a 2600x for $180/160, and a 3600x for $275, or even $250. the 2600x has been idling at $220-230, so the 3600x will be $250-275. Yeah, I'm leaving at the end of May, so I guess I'll just get a current Ryzen system and maybe upgrade the proc later this year if I can find a deal on one over there. A current gen i5/i7 seems pretty overpriced by comparison for the marginal improvement in single-thread performance and in games from what I've seen so far. Yeah, as I said above, I'm military, so they're paying to ship all my stuff over there for me and shipping is not a factor. If it is mainland Europe something as Germany you should not worry about the price difference to much. I heard Sweden has very nasty high prices for computer stuff. Newegg ships to APO and so does Amazon. I'll be in Italy.. which apparently has a 20% sales tax (VAT as they call it), but upon Googling it, apparently you can get refunded for anything over $212 if you're a non-EU resident/citizen. Not sure if that's applicable to me or not though while I'm staying there. Yeah, I've been told that too by my future co-workers there, but apparently there's no Prime shipping where we're at and everything takes 1-2 weeks to arrive. Not too big of a deal, but more annoying to buy online there for sure. No VAT is charged for APO shipments. Just checked NewEgg and it's still there. $250 for a 2700 is a pretty amazing price. Wife would kill me though since I've still got so much left to pay off from my 4k holiday upgrades. They also have a combo for $50 more with the CPU, semi-okay X370 board, and also a 250GB PCIe SSD. my 8350 runs Crysis 3 on ultra, Metro Exodus on Ultra and Mass Effect Andromeda on High ... tell me again why I need to upgrade to a Ryzen CPU? Rz3 can't be too far off then. What do you guys think? Maybe in 3-ish months? Maybe you'll want to crawl out from that 640x480 resolution experience some day? Just a thought. Flogger23m, ReaperX22 and readeh like this. No one's told you to do anything. jeffj7 and MaZa like this. Actually same with me. I gamed at 1080p and my 8350 rocks hard. But really that isn't the benchmark anymore; it is 4k for most. But for CPU crunching power I'm more interested in video coding. The ole 8350 would take a beating compared to a Ryzen 7 in that test. Not really and in fact, I upgraded when Ryzen initially released, just because. Otherwise, there was and still is no reason to rush out and spend the money, if you do not need too. Microcenter has the R5 1600 going for $79 plus $30 off any motherboard purchase. Games did not hold 60 fps when I had a 8350 years ago. I remember being very disappointed with the performance on BF4. When I upgrade part of what will drive it will be the need to downsize the space my current rig takes up. I have 2 AMD FX PCs in a rack next to my desk. At one time I had some audio gear installed also when I was editing and producing a radio show. I really don't need such a setup anymore. So I'm thinking a microATX Ryzen system and retire the rest. I got mine for $150 just before that. I see this $165 being touted, and think..that's not a sale. I think a lot of websites are just using it as click bait claiming all these "price drops". I've seen the headline multiple places, all with Amazon links of course. I have 3 systems and 2 of them are mITX Asrock mainboard based systems. I only have one cell phone, no laptop and no tablets, I just prefer desktops. (I have the B450 Asrock Fatality Gaming mITX board with the R5 1600 that cost $150 from Microcenter for both.) That said, if I could do it over, I may have held onto my Asrock 990FX boards for a longer time, just because. Try and buy over there and get it over here then. Wow! That's a pretty insane deal. Since my 4930k is doing its job I can't really justify it but man is that a good deal. Check on some German hardware websites, you can get stuff shipped within EU countries easily and your warranty still applies. You also don't pay import duty on goods between EU countries.